A concussion or traumatic brain injury can be a difficult and life-changing injury for an accident victim, at least partly due to the complexity and long-term impact associated with diagnosis and treatment. The fact of the matter is that all types of head injuries can potentially be very dangerous and have long-term effects that can drastically alter a person’s future. A traumatic brain injury (TBI), also known as an intracranial injury, is defined as a physical trauma to the head that results in a disruption of normal brain function. Specifically, a TBI occurs when such an impact forces the brain to rattle around the inside walls of the skull and causes bruising, nerve damage, and even internal bleeding. The brain is a soft, jelly-like structure is made up of 180 billion cells, one-third of which are used to process information. There are countless connections between these cells. These connections, and the ability to process information, can be impaired or destroyed when brain cells are killed. Brain cells can be destroyed when a trauma tears brain tissue, when oxygen is unable to get to the brain, or when blood accumulates on the brain. TBIs can be classified based on the severity, mechanism or other features. The severity of traumatic brain injuries depends on a few different factors. First, the severity of TBI is often related to which area of the brain that the injury affects. Other factors include whether the injury is acute or covers a larger area of the brain and how much physical damage has been done to the brain. These injuries are categorized in a range of mild – which indicates a brief change in mental status or consciousness – to severe, which constitutes an extended period of disruption in normal brain activity. Either way, TBIs are a serious health concern in the United States. According to the CDC, an estimated 1.7 million people in the United States sustain some form of a traumatic brain injury each year. Concussions are a mild form of TBI, and although the “mild” classification means that these injuries are typically not life-threatening, the long-term effects of a concussion can be serious. While mild head injuries can be extremely dangerous, severe forms of TBI are accompanied by disastrous results much more often. There are two types of TBI – closed, which means the injury is caused by a movement of the brain within the skull, or penetrating, which means the injury is caused by a foreign object entering the skull and damaging the brain. The potential conditions and disabilities that can result from a severe TBI are large in number and can vary quite significantly. A person with a severe nonfatal TBI could potentially be lucky enough to walk away with minor short-term memory problems, whereas another could entirely lose motor or cognitive function. The CDC estimates that there are approximately 5.3 million people in the United States living with a TBI-related disability. Mild forms of TBI, specifically concussions, are still quite dangerous but thankfully much easier to treat, manage and recover from than the severe forms. But while many people will bounce back quickly after being diagnosed with a concussion, it can sometimes take weeks to recover from. Concussions are commonly associated with sports-related injuries – particularly in contact sports such as football and hockey – and, when treated properly, typically do not last long. Most traumatic brain injuries reported in the U.S. each year are classified as mild, i.e. concussions. The long-term effects that result from concussions can also vary greatly. Generally, the severity of the initial concussion and the frequency of subsequent concussions can often correspond to the long-term effects and any potential disabilities. For example, an average person with just one mild TBI in their lifetime that was treated properly is much less likely to experience any long-term effects than a football player with multiple head injuries. On the other end of the spectrum, severe traumatic brain injuries can result in long periods of unconsciousness, amnesia, coma, and even death. Severe TBIs can take time to develop and may not be apparent until several days after the initial trauma. Regardless of the categorization, traumatic brain injuries are an extremely serious issue in our society and the public awareness and outreach that has resulted in recent years reflects that. It is imperative that victims of TBI immediately seek the assistance of a physician and begin the steps to treat the injury and recover in a healthy manner. Mood swings are one of the more overlooked symptoms resulting from a TBI. Injury victims may be less likely to connect the dots between a head injury and emotional side effects than a painful headache, but they absolutely serve as just as big of a warning sign. As a general rule, it is best to immediately consult with a doctor and rest after any significant head trauma. Continuing physical activity is only going to make your symptoms more severe and put you at greater risk of making matters worse. Can Traumatic Brain Injuries Be Treated? Immediate treatment for TBI depends on the severity of the damage. For the most severe cases, doctors perform surgery to control bleeding in and around the brain. Follow up care includes monitoring and controlling pressure on the brain and ensuring adequate blood flow to the brain. 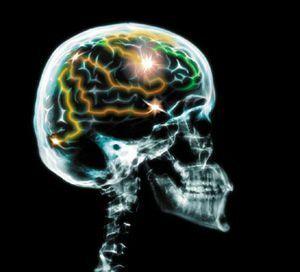 The outcome of TBI depends on the cause of the injury and on the location, severity, and extent of neurological damage. Other forms of treatment can be performed by a neurologist or a neuropsychologist depending on the severity of the brain injury. It is important to consult with medical experts as soon as possible. Do I Need To Hire A Personal Injury Attorney For My TBI Case? Working with an experienced brain injury attorney can help to secure the entitled compensation. A brain injury can be quite serious and debilitating, and therefore cause substantial damages to the victim in terms of medical expense and lost income, in addition to affecting many different aspects of a person's life. Because damages can be very significant, the costs and the complexities of obtaining evidence and fair compensation are great. 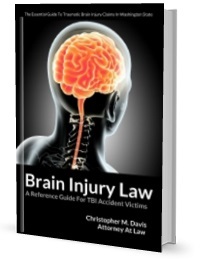 It is difficult to prove brain injuries in court. A minor brain injury may not be detected on imaging (MRI and/or CT scans) so proving the existence of the injury itself can be difficult. Also, by waiting too long to file a claim, you may lose your entitlement to compensation or valuable evidence can be lost. The assistance of a personal injury lawyer can give claimants the best opportunity to obtain fair compensation for their injuries. A lawyer can help a person recover lost income, past and future medical expenses, and non-economic damages such as pain and suffering and loss of enjoyment of life as compensation. Because these types of claims are typically refuted by the insurance company, it is important to consult with the proper medical and legal experts to preserve the integrity of your claim.